You’ll hear time and time again (if you haven’t already heard it) that building your mailing list is absolutely crucial—and this is true. But as authors, it can be incredibly hard to know what to send your email subscribers. Maybe you’re wondering why you even need an email list. If not, feel free to skip ahead, but if you’re sitting there scratching your head, take a moment to read on. A mailing list is the best way for a business to maintain customer flow. It’s one of the only communication methods with their customers that they truly own—unlike social media, which could shut down any day. I want you to visualize that quickly. Imagine that your Facebook, your Instagram, and your Twitter all got shut down tomorrow. Bam—everyone’s gone. How will you let people know about your upcoming books, or your giveaways, or your discounts if you lose your social following? If you’re relying on social media to stay in touch with readers, you’re putting yourself at massive risk. It prevents your reader from being distracted by other social media posts and puts focus on you and your message. It minimizes chance of your message being lost in the algorithms and maximizes the chance of it reaching your reader. It’s literally what the majority of businesses use to convert leads to paying customers—and as a publisher and book marketer, this is what you want to do too. 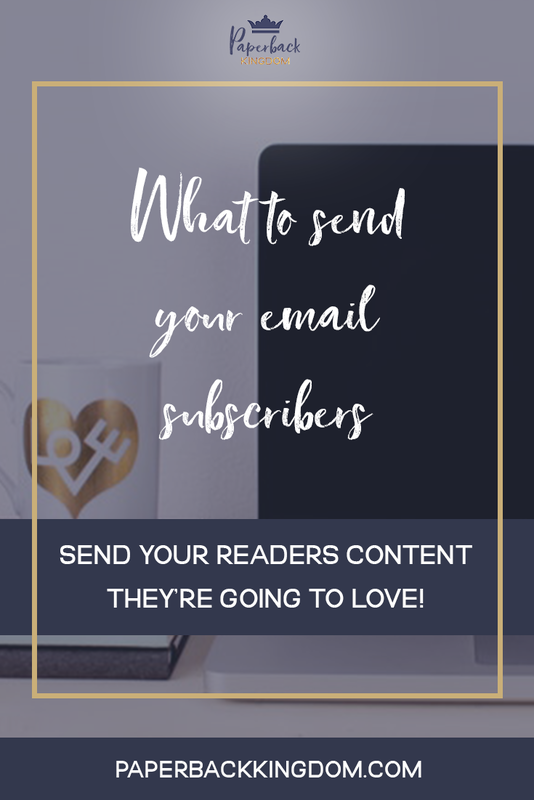 But of course, all of this is useless without actually having readers on your list to receive content—so today, I’m going to be sharing three things you should be sending your mailing list subscribers. First thing’s first—you need to create an opt-in—something of value that you offer in exchange for the potential customer’s contact details. Businesses will typically create something of use to the customer that is both valuable, but worth giving away for free, and it should aim to drive a sale. Breanna The Baker has baking blog where she shares her dessert recipes and food creations. She has a cookbook full of original recipes, medium price. She also has an online course where she teaches baking techniques, high price. This is your aim—to craft a mailing list campaign that converts book sales and builds relationships with readers so that they become an invested reader who buys multiple books. In most situations, this customer will buy the cookbook first and the course second—but very rarely will they make a purchase without first consuming a freebie (AKA an opt-in). Her freebie could be anything from a 3-page baking utensil guidebook, to 10-quick-and-easy baking recipes, to a list of must have baking ingredients. The key thing is that her target audience must find it useful—if they’re coming to her blog for baking recipes, they’re going to need or want something related to baking, right? So let’s now bring this back to fiction books—what can you offer to your specific audience that is completely irresistible? It could be a free novella that hooks them on the entire series—once they’ve read one, they’ll pay to read more and find out how the story ends. 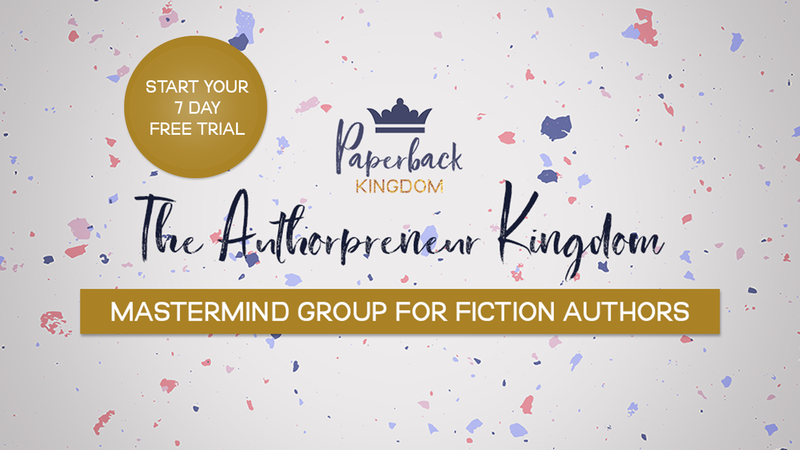 It could be something relating to your book or series—the answers to a quiz, access to a challenge, entry in a giveaway, exclusive teasers, excerpts, and exploring behind the scenes stuff or alternate endings, deleted scenes, etc. You want to hook readers who have never read your work before, as well as readers who have—so giving them something like a ‘bonus chapter’ or ‘deleted scene’ might not work if they haven’t already read your work. Think long term—what’s going to really engage them to buy your work in the future? What’s going to be most valuable to give them? You don’t want to create tons of opt-ins—just stick to two or three ideas and then keep updating/alternating them as you release more books. Let’s go back to our example—Breanna The Baker. Breanna is already doing a fabulous job creating content. By sharing recipes on her blog, she is providing incredible value to aspiring bakers around the world. But she needs a way to hook them and keep them coming back, as well as convert them into paying customers. This is where sending great content comes into play. The opt-in should be a piece of the pie, or a delicious sundae, and everything that comes after should be worth the entire pie or put the cherry on top of that sundae. Consistency is super important because if you don’t maintain regular contact with your subscribers, they’ll forget who you are and will be more likely to unsubscribe when you return from out of the blue. So as a general rule of thumb, try to email them once a week. Secondly, nobody likes receiving spam, so make sure every single email is as valuable as a golden nugget. This just means emailing them something relevant, and not creating fluff just as an excuse to show up in their inbox. So bringing this back to fiction books—what can you offer to your specific audience that is super valuable and leads to a purchase? It could be a welcome campaign that showcases your author brand and your books to new readers who have never heard of you. This builds trust with your subscriber, and it’s a nice formality, so I highly recommend doing this as a minimum. 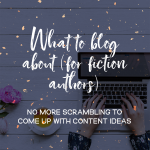 It could be weekly blog posts relating to your book, or writing process, or events surrounding your book, to maintain that consistent connection. It could be book reviews or achievements (awards, making a bestseller list) that paint the book in a positive light. It could be exclusive news and updates on upcoming books, series information, author interviews, behind the scenes at signings, tour information, etc. As another rule of thumb— try to condense bookish updates to a single email. It’s worth sending the information out, given the social media algorithms, but otherwise there’s no value in sending stuff that is part of your public content strategy. You want to send content that otherwise can’t be seen on social media or blogs. With this in mind, you might consider separating a portion of your content and sending this to your email list before it goes public, to make them feel like VIPs. 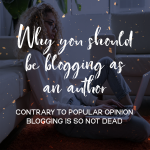 When someone visits your blog for the first time out of curiosity, or in search of something (in Breanna’s case, a recipe)—it’s never their first intention to buy anything, because they don’t know or trust you. The average customer sees your product 7 – 8 times before they even think about buying it. Keep this in mind when tailoring content—don’t assume that the first piece of content someone sees will lead to a purchase, or that it’s not the 7th or 8th time they’re seeing it. Be strategic. This is the most important part. We’ve got out opt-in, and we’ve got our trust building content, and now we need to drive that sale. In our example, Breanna The Baker might craft a sales campaign. After the subscriber has had time to (a) devour that opt-in, and (b) go through the welcome campaign, Breanna might send them a new campaign that aims to sell her cookbook. Let’s assume her opt-in was the 10-quick-and-easy baking recipes freebie. If the reader loved it, she might let them know her cookbook is available and jam-packed with lots more recipes. But to sweeten the deal, she might offer her subscriber a 10% discount just for being on her list—except it’s only valid for the next 24 hours. This creates a sense of importance and value for the subscriber, but it also creates a sense of urgency. They feel acknowledged, they trust Breanna, and they would be stupid not to buy the cookbook while it’s on sale, right? Alternatively, she might drive sales to her higher priced baking course by sending them a short, free webinar that gives them a taste of what’s included in the larger course—which builds a stepping stone of trust leading into that sale. So knowing this, what kind of email content can we create to drive sales to your fiction book? You might create a 48 hour long sale / discount. I advise doing this on a special occasion, such as a birthday, or a launch day. Otherwise, you’re discrediting your worth and also giving readers reason to question the quality of your work. You might create a package deal where it works out cheaper for the reader to buy a completed series in a box set—giving them the illusion of a bargain. Finally, here’s a little-known secret—most authors don’t make their salary on book sales. In fact, the average author makes between 2 -4k per book, in it’s entire lifetime. You can make passive book sales while you sip martinis on vacation. If your mailing list isn’t converting sales, it means you haven’t done it right. Email headlines that don’t compel the reader to open in the first place—you’re competing against an unknown number of competitors, all dependent on how many other lists your reader is subscribed to. Emails that don’t captivate the reader— you’ve got the advantage of no distractions, but their attention span is still going to be 2 seconds long. If you don’t hook them, they won’t read the email. Emails that don’t get delivered to inboxes— due to spam filters for unknown email addresses, or emails not being opened regularly enough, your emails might suddenly end up in the reader’s spam folder (unknown to both you and them). Emails that don’t have the right sales formula— there are four types of buyers, and some need more time than others to invest in a purchase. The way you craft your sale emails might be trying to sell to your reader too early, or might be selling your book the wrong way to the wrong type of buyer. 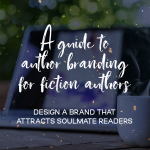 Ready to take your author brand to the next level?